Got a tight marketing budget? Get the promotional Mints 50 Gram Bag for maximum return and make new friends right away. They say it’s tough to find an affordable product and at the same time, with quality. Well, not at all! We pride ourselves with our promotional Mints 50 Gram Bag. They are funky with their refreshing burst, they are such cool giveaways to your clients. It’s a fresh freebie for everybody! Our delicious personalised Mints 50 Gram Bag are well created promotional treats to market your brand. By the way, we also have the Mints 25 gram bag as an option. 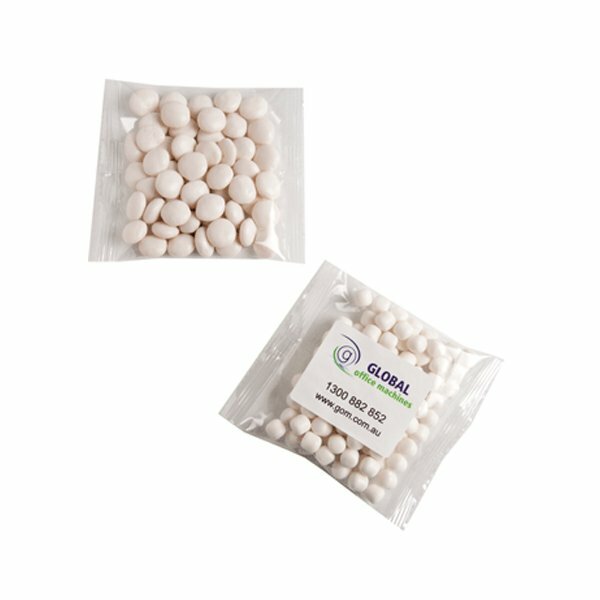 Chewy mints packed in a clear cello bag, they are perfect with your logo, printed in full-colour stickers to top it. We at Fast Confectionery are certain that advertising your brand with confidence doesn’t have to be expensive. They may be simple, yes, but hey! As they say, happiness can be found in the simplest of things! 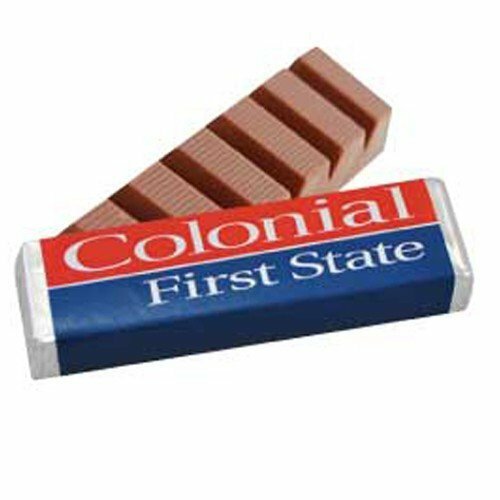 To add to its truly amazing idea of branding, these chewy mints are made with highly developed techniques to please its consumers. Mainly composed of the premium peppermint oil and sugar, it will make you gain ground on the business field with its minty and sweet taste! They are popular not just with their icy burst but also with their active mechanisms that could soothe the tummy! You can be assured that our customised Mints 50 Gram Bag will take your organisation’s event to a massive success! Be prepared to float in our vast ocean of merchandise. In line with our Fast Confectionery products, have a look also at a huge range of promotional baseball caps. We have so many hats and caps to choose from so perhaps start your journey by checking out the custom Mesh Waffle Cap. Our team can provide you with all of these lovelies with quality and versatility. That’s our promise! So call us at 1300 008 300. We will assist you every step of the way to make your brand be known to all!